Please enjoy the wedding of Mr & Mrs I. 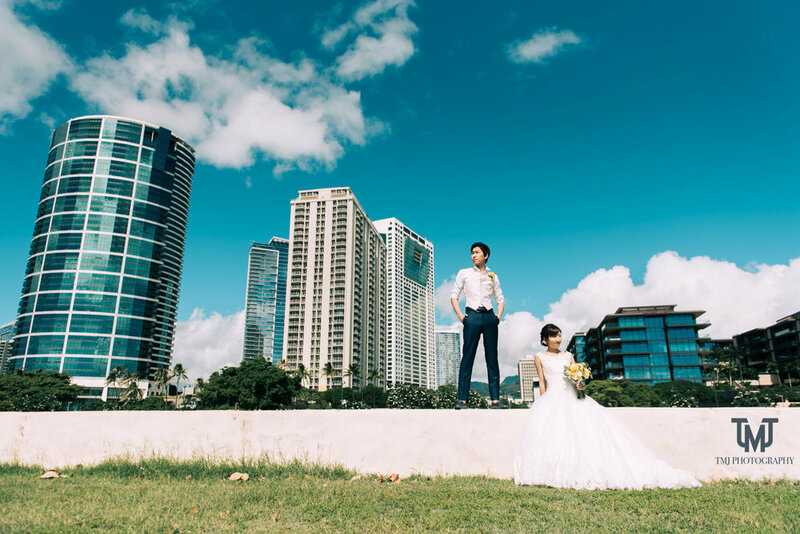 After getting ready at the Halekulani Hotel in Waikiki, they had their ceremony at the gorgeous Moanalua Community Church in Honolulu. Afterwards, we went to the Ala Moana Beach Park for the Photo Tour. Vendor list is at the end of the post.